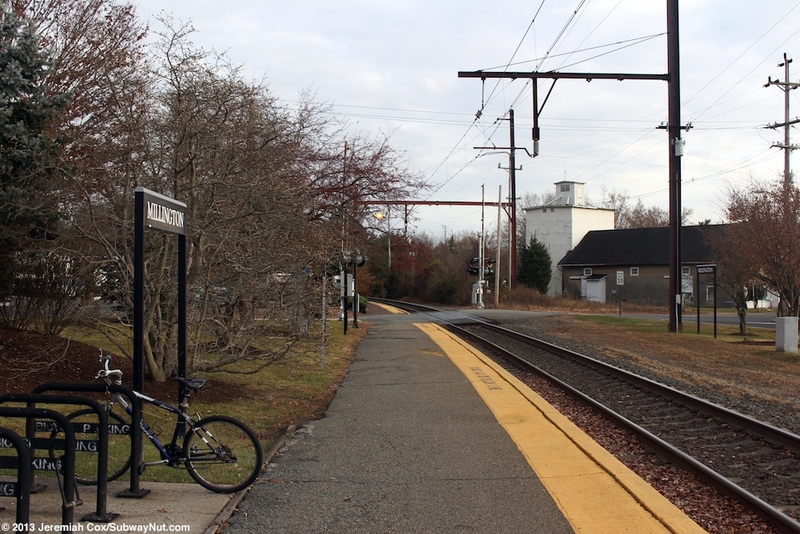 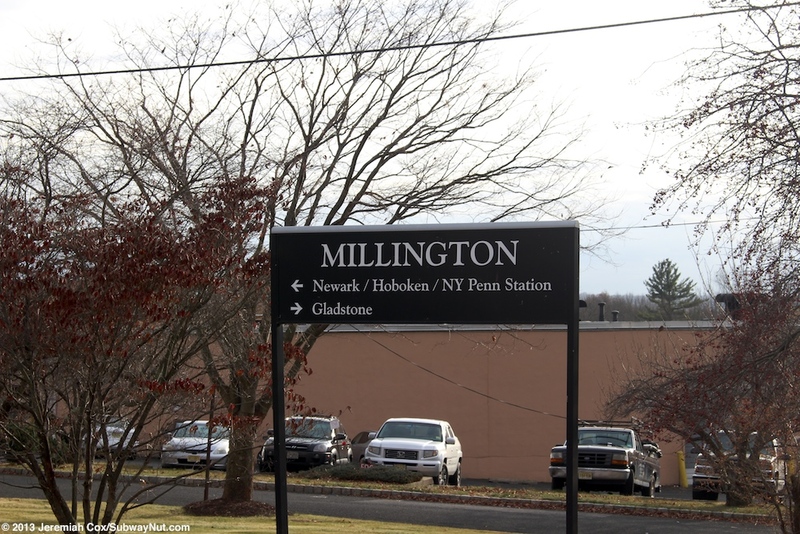 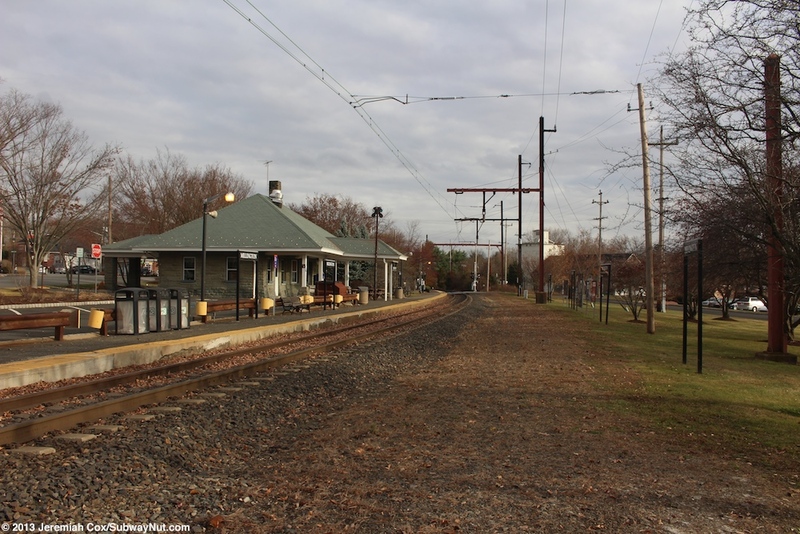 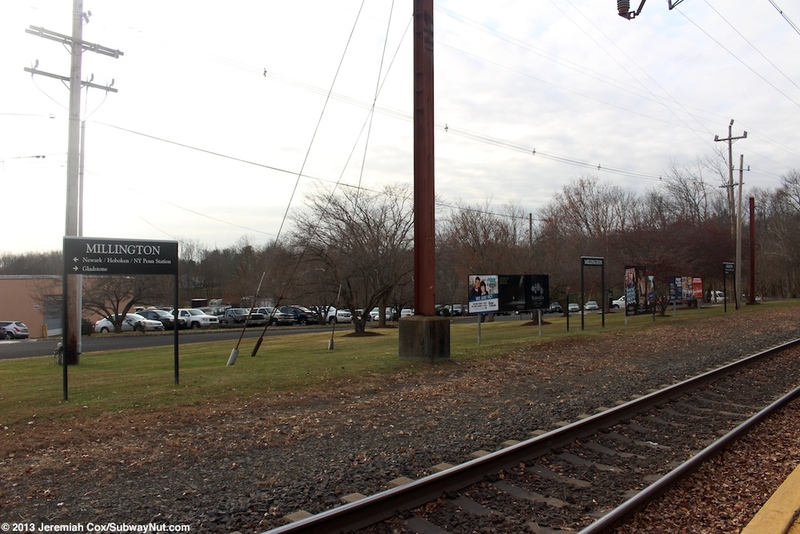 Millington is a station on the Gladstone Branch with a single low-level platform on the north side of the tracks. 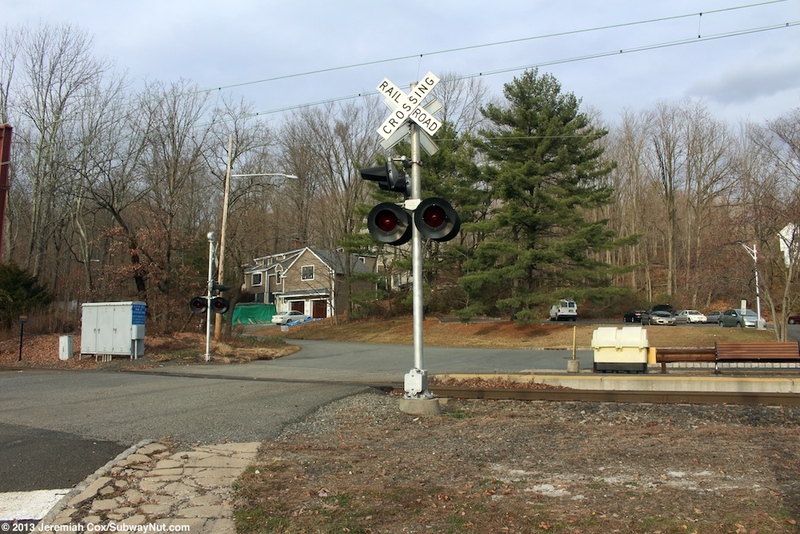 This platform runs from the grade crossing of a road that has just lights and bells, no crossing arms to Division Avenue (full crossing-arms) and continues another car beyond this intersection (the platform is split). 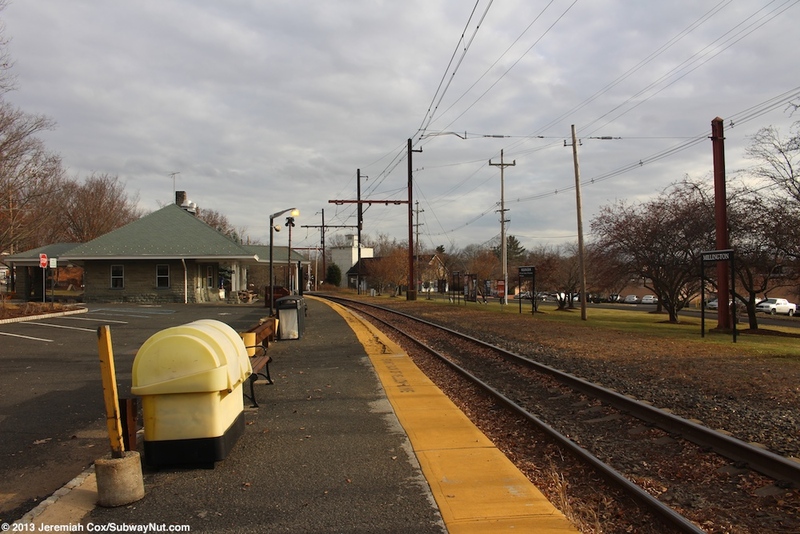 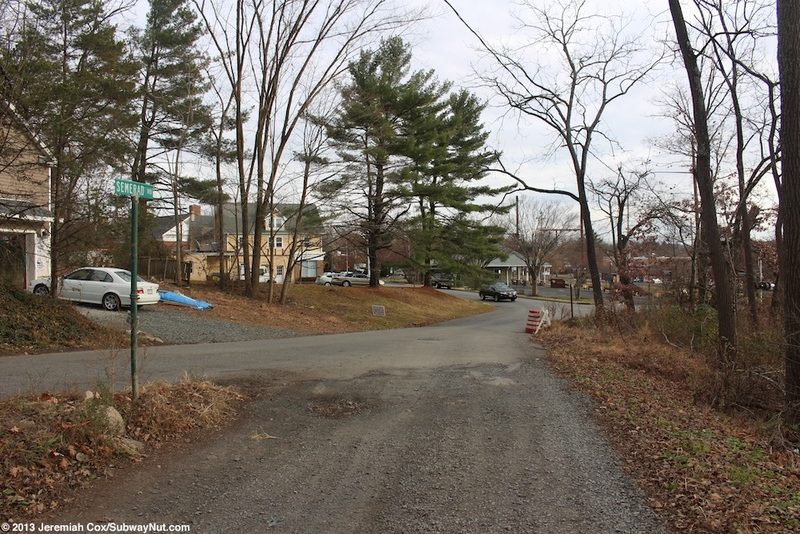 The road at the western end is named Main Street according to the emergency signs on the grade-crossing but it connects various other streets, Old Mill Road, River Road, Long Hill Road, and Hilltop Road with Main Street appearing nowhere on Google Maps. 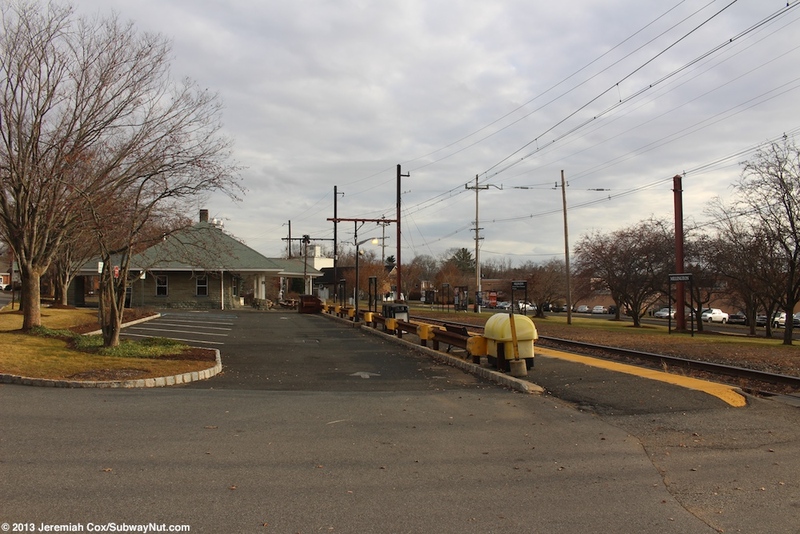 Along the main part of the platform slightly set back from it is the station's historic stone station built in 1901. 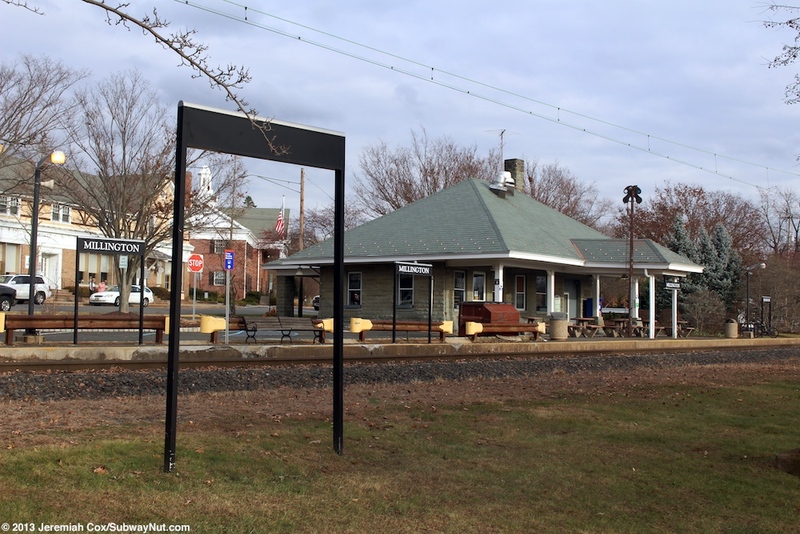 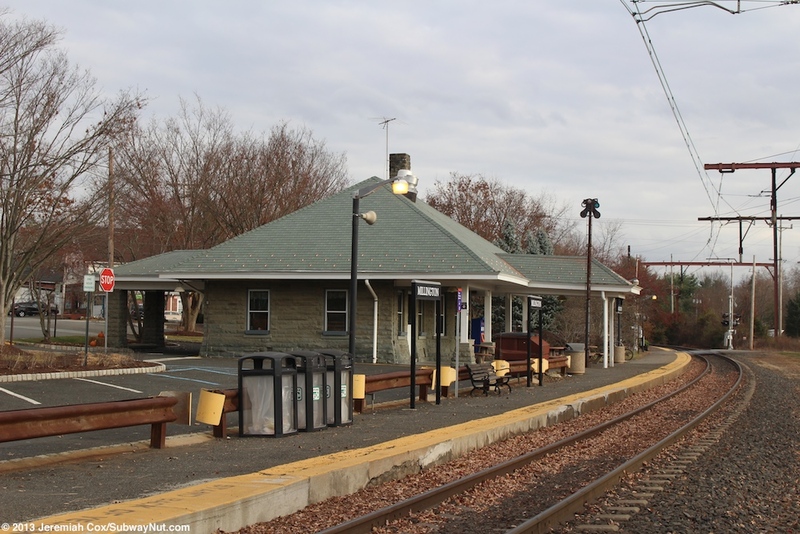 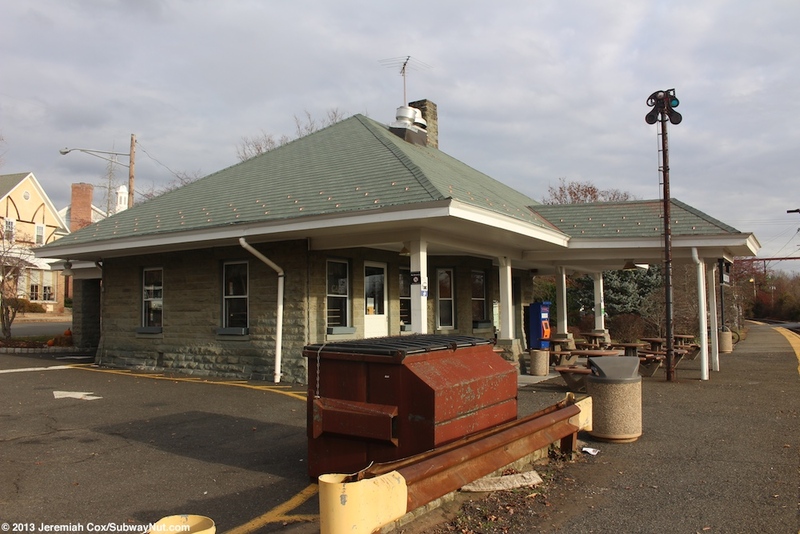 This historic station has a high gabled roof with a chimney with eves that extends beyond each side of the station. 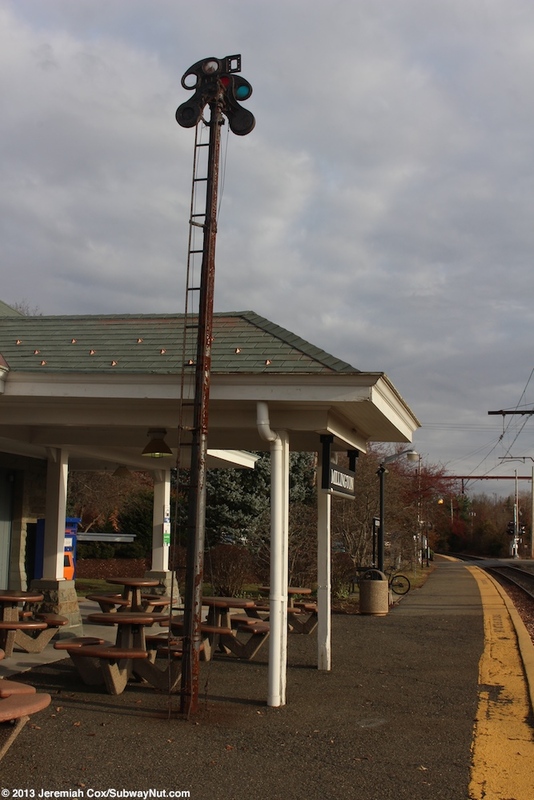 These eves extend out to cover a small portion of the platform (with wooden pillars) and streetside provide cover to an entrance and drop-off loop (with stone pillars). 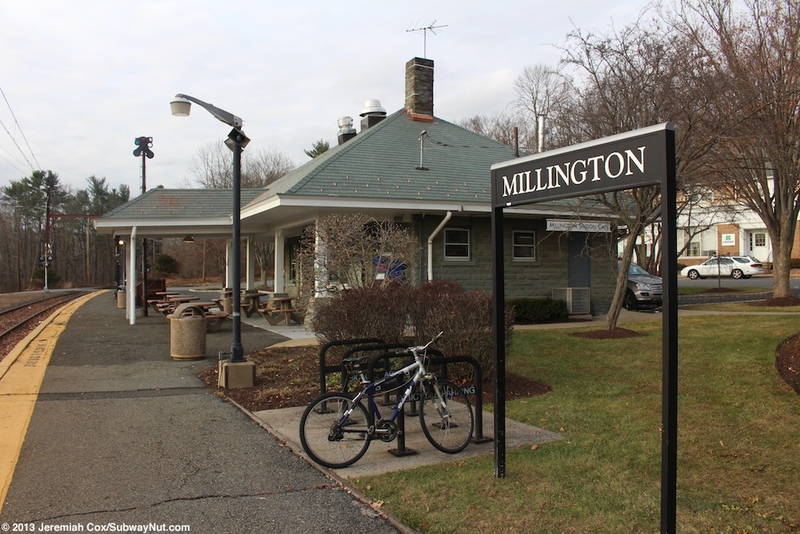 The station house now contains a private business, the Millington Station Cafe. 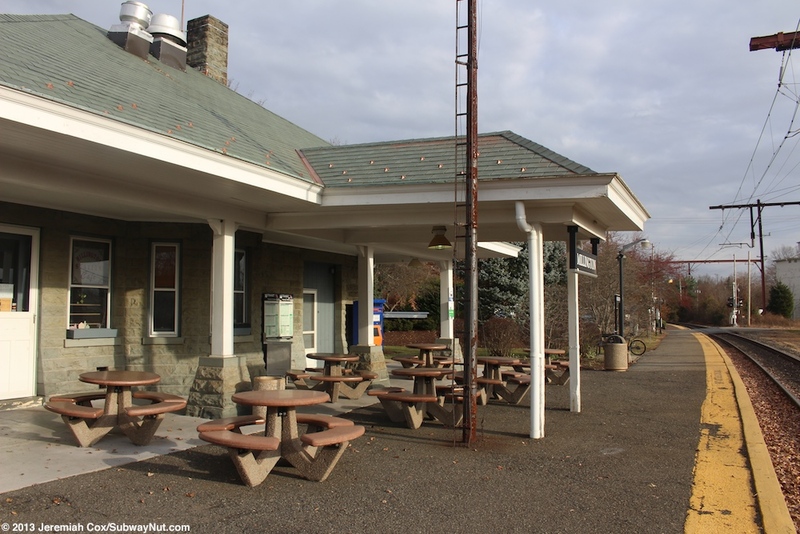 This cafe has put picnic tables outside in the porch between the track and station building under the eves. 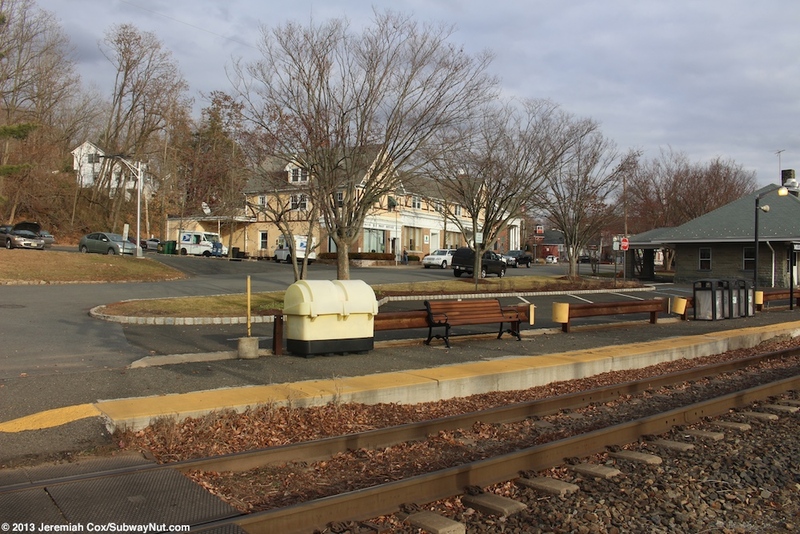 It is near these picnic tables that the station's only TVM is. 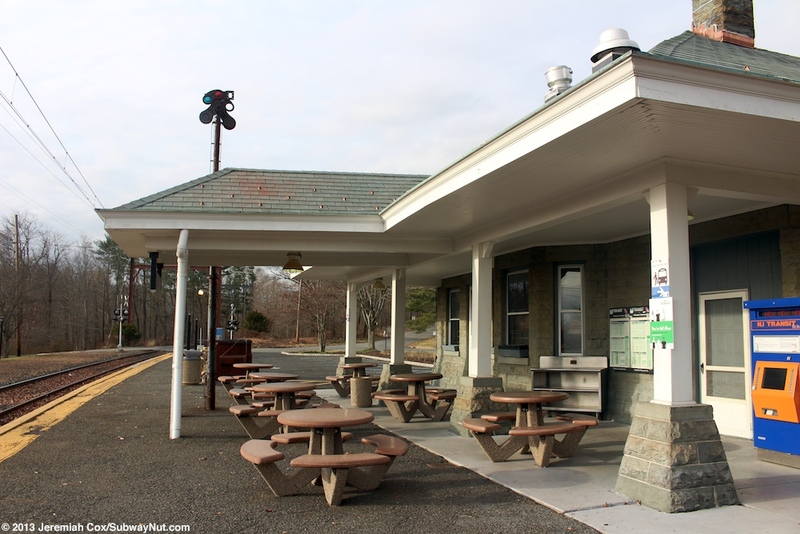 There is a small amount of parking directly along the platform but this isn't for rail passengers and just patrons of the cafe. 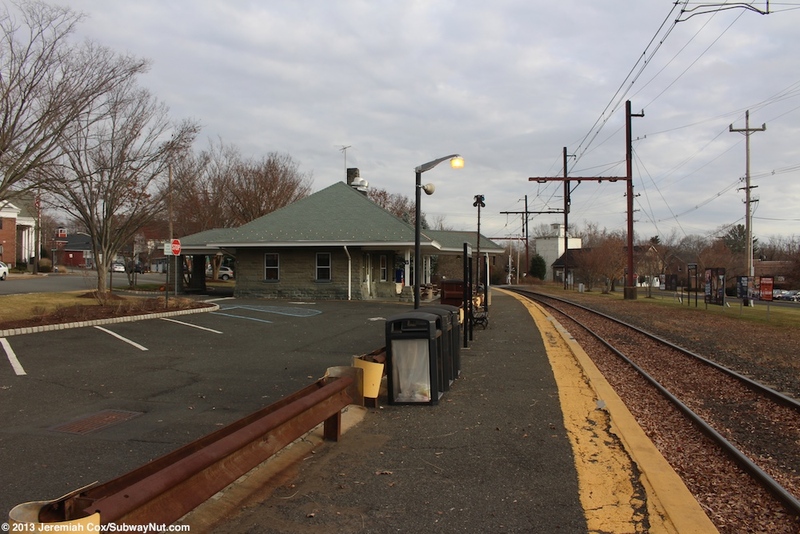 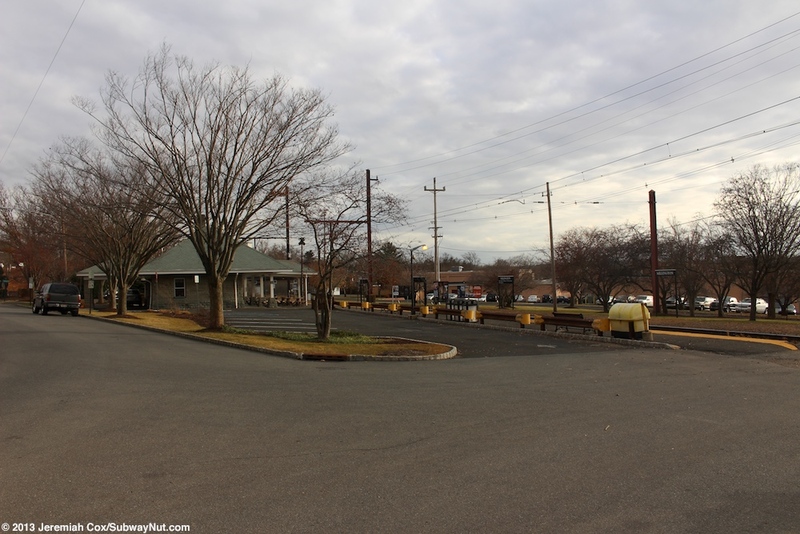 The one commuter parking lot is a 114 Space lot along Old Mill Road across from the Platform at the River Road end of the platform. 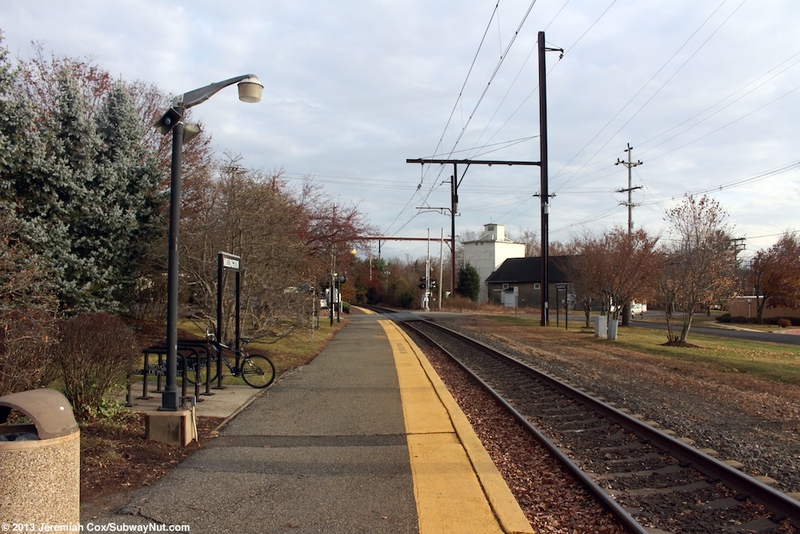 Approaching the station via a gravel road!